Who's got big Galentine's Day plans? Thanks to Leslie Knope, this holiday has been a "thing" since 2010. All about women celebrating women, the tradition occurs on February 13th — Valentine's Day Eve. Or, really, whenever you want to party with your gal pals... and I say celebrate 'em early and often! 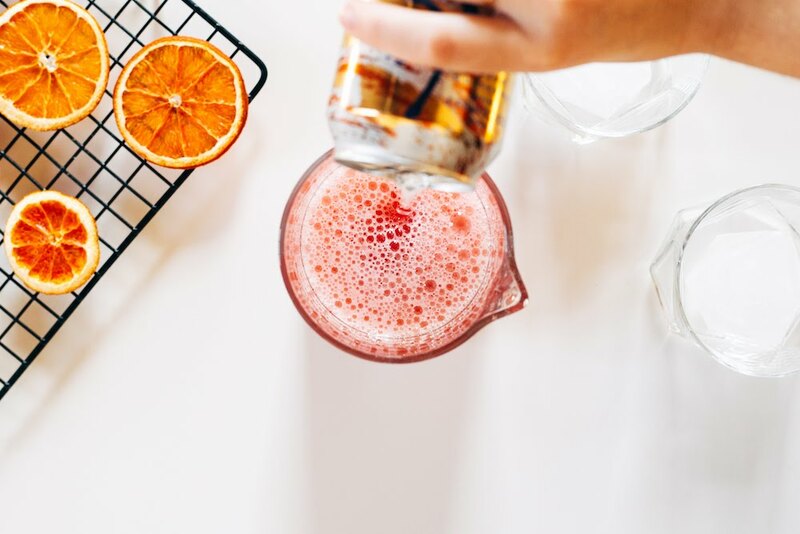 - Cara Cara pink navel oranges — read how to dehydrate them here. 5. 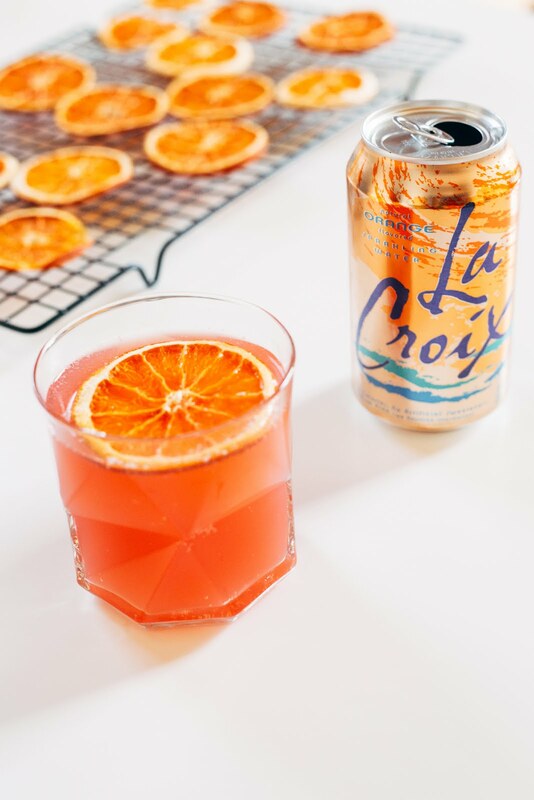 Garnish with a dehydrated pink navel orange. It looks pretty, and it ups the flavor game. And there ya have it! A fun, easy (and guilt free!) 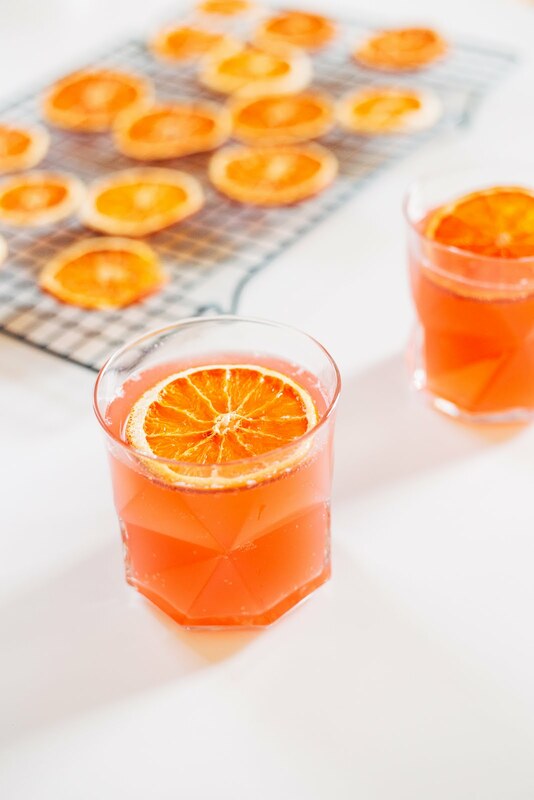 drink for your Galentine's party. 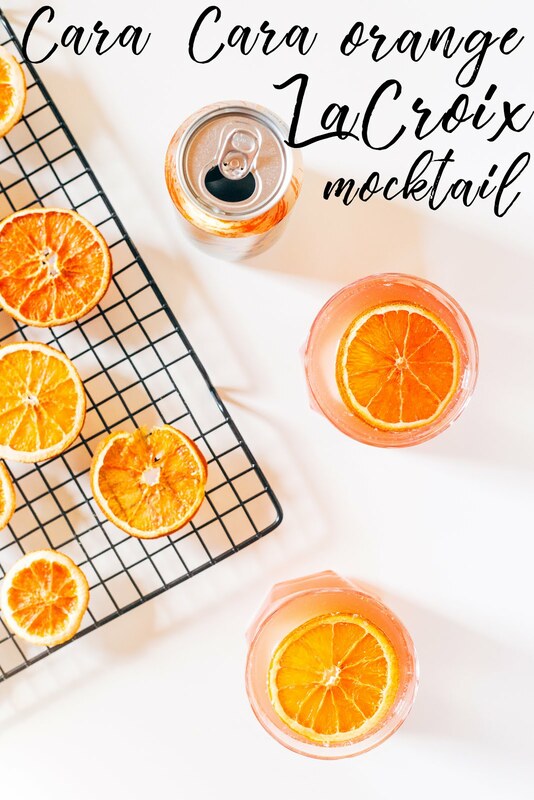 If you're up for a serious girls night, you could even make a craft from those leftover orange slices. So pretty!